If you missed my first two trips into my childhood, check them out. Empty box of Mr. T crayons. Found in "Encyclopedia Brown Carries On" by Donald J. Sobol. Published by Apple/Scholastic, 1982. 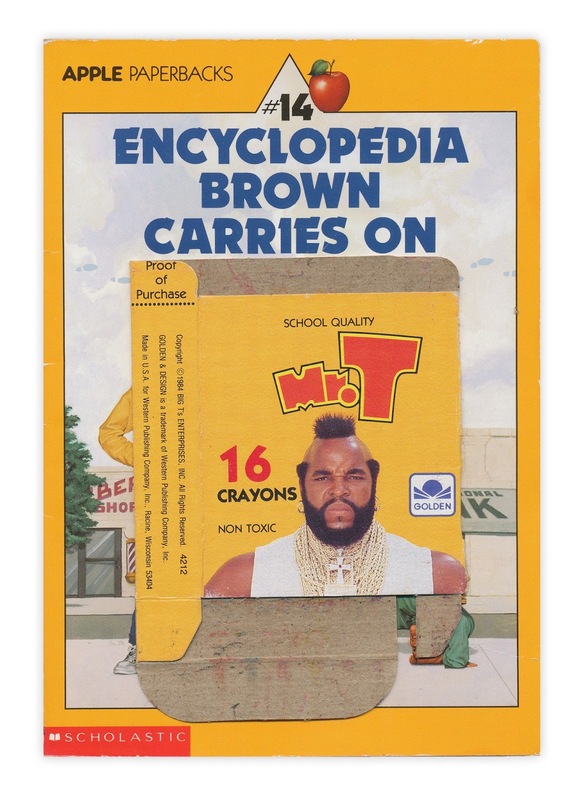 Honestly, not sure which one brings back more memories, Mr. T or Encyclopedia Brown. 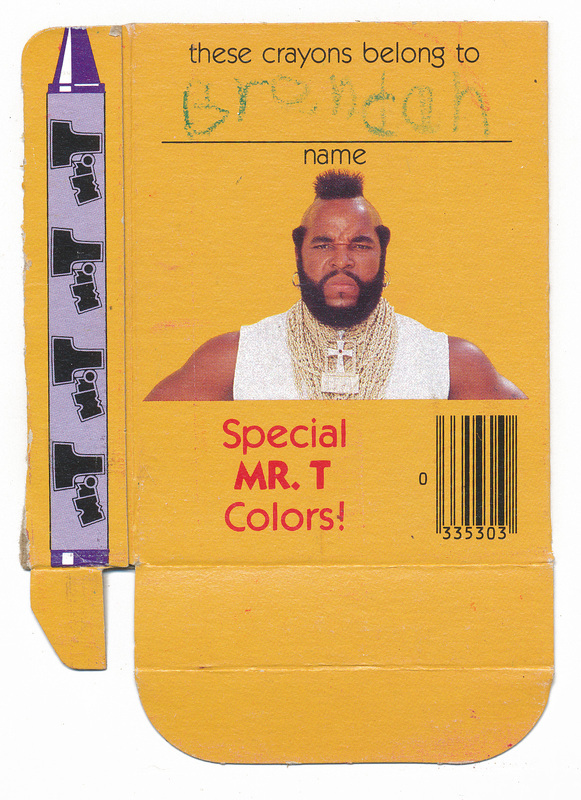 Which prompts the question - what are special Mr T colors? The internet is full of wonders.